Home / Uncategorized / How many people are there and how many can the earth support? How many people are there and how many can the earth support? 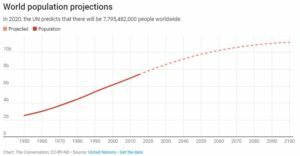 The article in The Conversation 7.5 billion and counting: How many humans can the Earth support? by Andrew D. Hwang (7/9/18) provides some details. 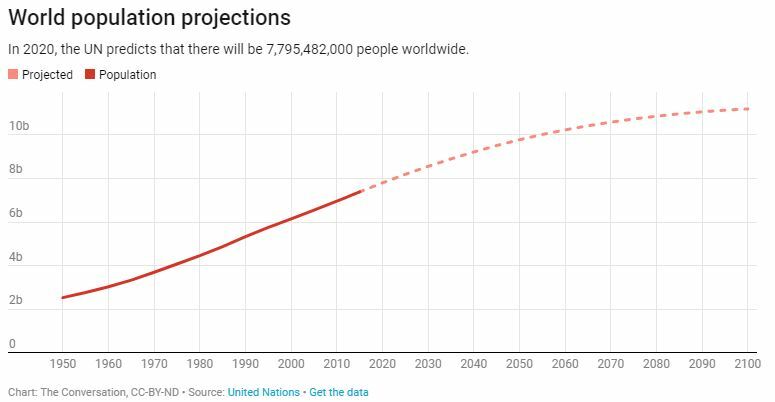 The graph here, copied from the article provides population number and future estimates. This article is useful for QL and Stats classes, as well as anyone that would like to use population data and/or discuss carrying capacity. Previous What are the prospects for high school grads? Next What are the recent Mauna Loa CO2 measurements?